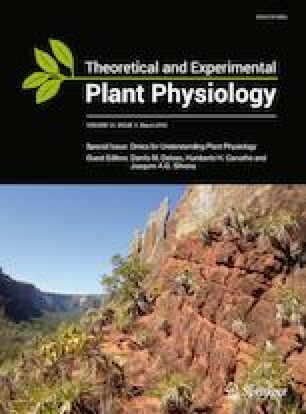 Plant secondary metabolism consists of highly complex pathways by the fact that its structures and levels are largely divergent between different tissues, growth stages, species and environmental conditions. The metabolomics of plant secondary metabolism has been developed for both functional genomics and analysis of physiological processes via multi-platform metabolite profiling as well as integration analysis with other omics data. Whilst recent efforts and significant technological advances of mass spectrometry have solved common analytical problems of metabolite detection at higher sensitivity, the challenge of improving (i) the coverage of detected compounds and (ii) peak annotation to enable functional genomics approach still persists. Here, we review progress made following this approach with research examples and strategies of gene functional analyses in plant species. Taken together, these examples prove that the current strategy of metabolomics focusing on plant secondary metabolism via integration with genetics and transcriptomics is a highly effective tool to understand the function and regulation of metabolic complexity in plants. We gratefully acknowledge the funding support of the Nara Institute of Science and Technology (NAIST) and Japanese Government (MEXT) scholarships for JCD.